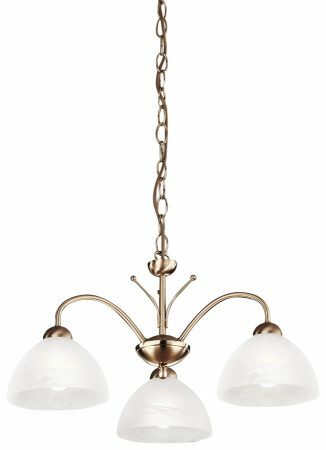 This Milanese 3 light ceiling light in antique brass finish with alabaster glass is classic, beautiful and traditional. Featuring a circular ceiling cup, chain link suspension and three curved over arching arms holding downward facing alabaster glass domed shades for a softer light. Ideal for a traditional bedroom, hallway, dining room or living room ceiling. 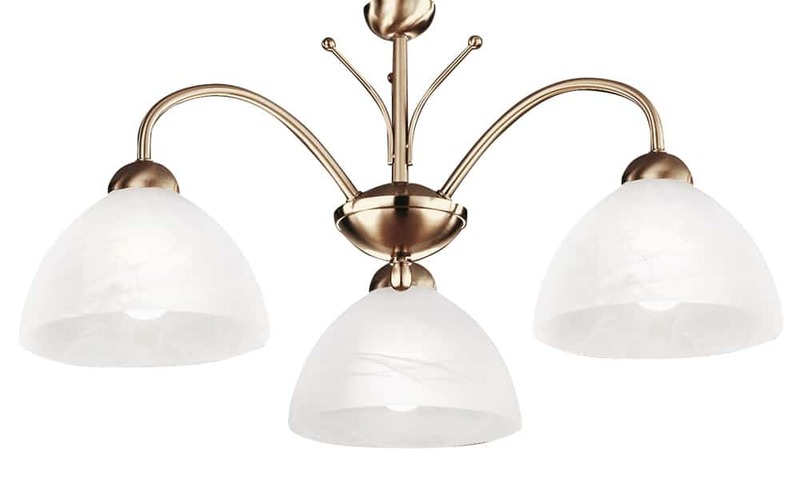 The sleek fitting has a decorative metal centrepiece, with traditional antique brass finish curved arms leading on to three downward facing alabaster glass shades. This fitting can be suspended from a chain or fitted flush to the ceiling to create the desired effect making it suitable for rooms with a low ceiling. Height adjustable at the time of installation by shortening the chain or fitting as a semi-flush light, please see the technical information below for minimum and maximum heights. 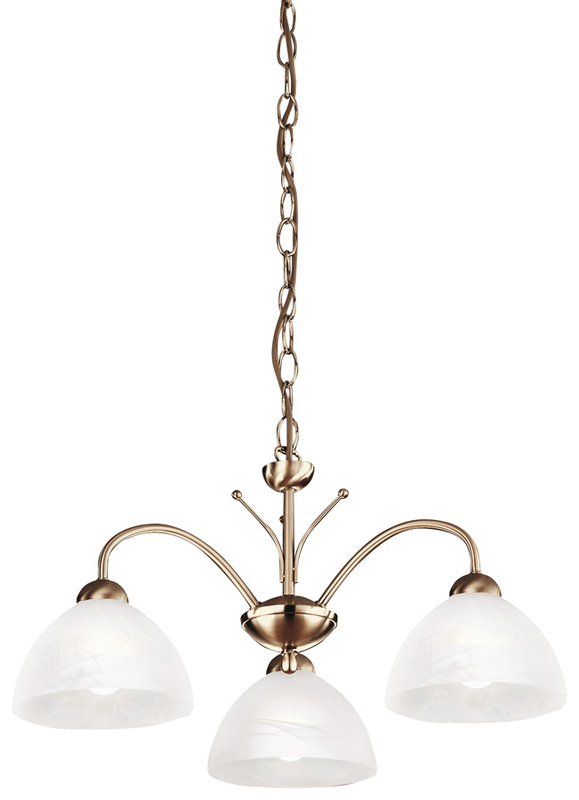 This classic light is supplied by Searchlight who manufacture some of the best traditional and modern classic designs such as the Milanese 3 light ceiling light in antique brass finish with alabaster glass you see here.